It has been so cold for most of January, that I have sought things to cheer myself up and make this cold and dark month more endurable. 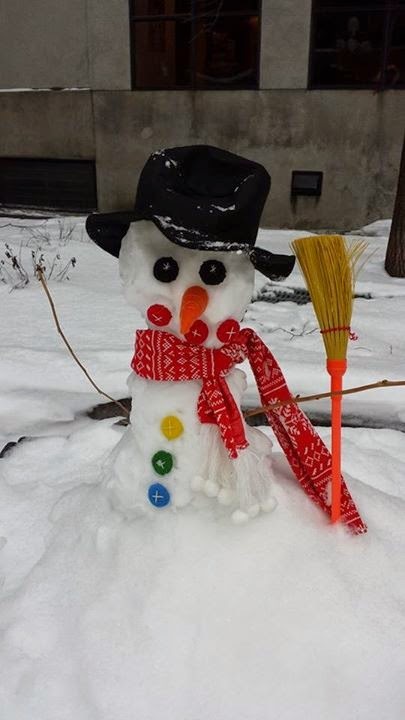 One day, when I was walking through the Byward Market in Ottawa, I saw this cute little snowman that someone had built in a courtyard. He was so cheerful, he brightened my day. 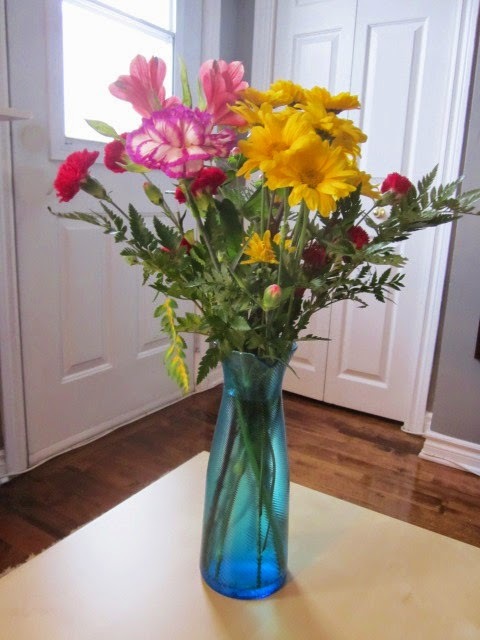 Another way I overcome the dreary cold is by buying myself a bright bouquet of flowers. Love the yellows and reds. Ahhh! It makes me think of spring, when flowers will be growing in the gardens again. Most winter evenings recently have been just too cold to go out for a walk. 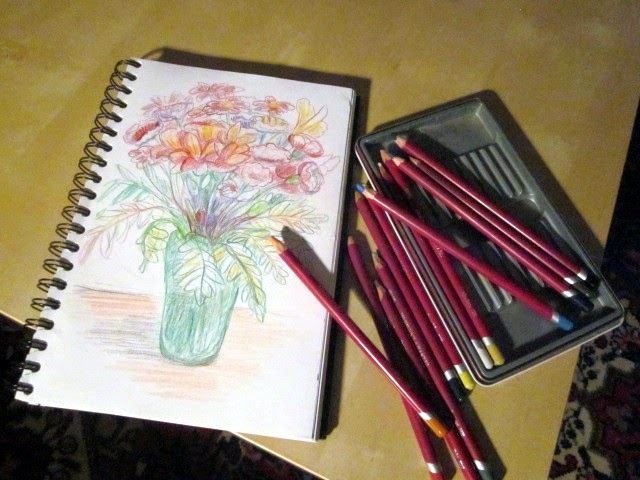 So I cheer myself up by sitting down with a bunch of coloured pencils and scribbling a drawing. Nothing serious - just for fun, just to put down a bunch of bright colours on a piece of paper. Another way to dream of spring, another way of coping with winter. Love that sketch! So light and full of life. You're inspiring me to get back at it! Great post! I love the colourful snowman and the pretty flower drawing.